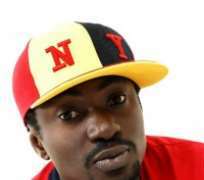 Former member of the defunct music group, Plantashun Boiz, Blackface born Augustine Ahmedu in Obalende, has signed a N52 million deal with Franchise Events Limited. The deal, which includes a car and a house, sees Blackface become the record label's biggest name. Blackface is known to be a prolific songwriter, who has written loads of hit songs that has defined the careers of many artistes in Nigeria. Some of these include the MTV Europe Award 2005 winner in the Best African Artist of the Year category, 2face Idibia, on the hit song African Queen, which is also the soundtrack for the FOX Century Motion Picture 'Phat Girls' starring Monique. Tony Tetuila's 'My Car', Weird MC's African Woman, Black Tribe, SVJ and many others. He released his first solo Album titled 'Ghetto Child' in 2004, a compilation of hard-hitting political negation, Dance-Hall songs.